The therapy team at The Oaks at NorthPointe in Zanesville, Ohio knows that by paying attention to even the smallest details, they can positively impact a resident’s life. While preparing for a resident’s discharge to home, there is often a need for additional equipment to ensure the resident continues on their wellness journey after leaving the campus. This equipment is frequently not covered by insurance, and can be too expensive for a resident to afford on their own. Last month a resident of The Oaks became increasingly anxious about returning home. She wanted to continue making progress towards her wellness goals after discharge, but was afraid that without the right equipment, she wouldn’t be able to do so. Therapy team members Brandy Mohler and Lindsey Jefferies listened to the resident’s concerns and decided to work together to help her. The two women presented the resident with a set of adjustable cuff weights that they had purchased for her, and added an extra special treat to her Discharge Celebration Gift – a box of her favorite chocolate raisins! The gifts eased the resident’s anxiety and moved her to tears of joy. 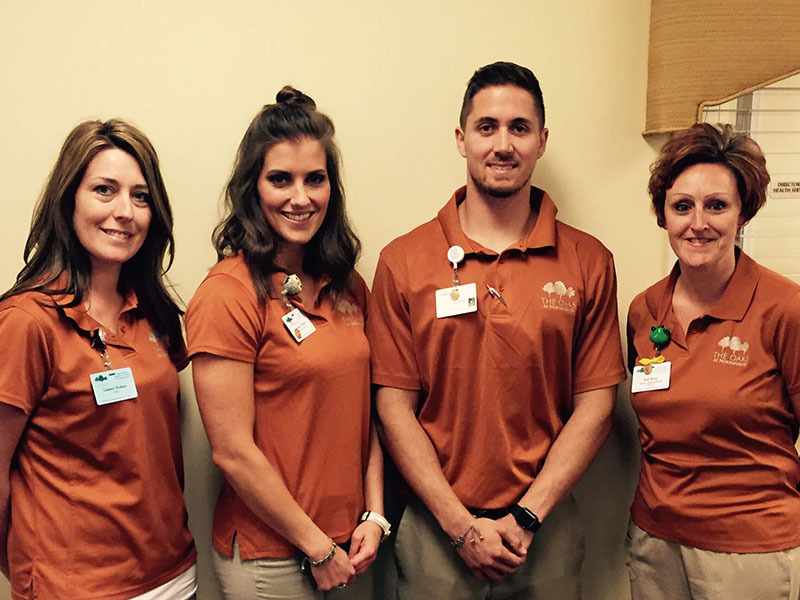 We would like to thank Brandyn, Lindsey, and The Oaks at NorthPointe therapy team for their Servant Hearts and dedication to providing outstanding customer service.